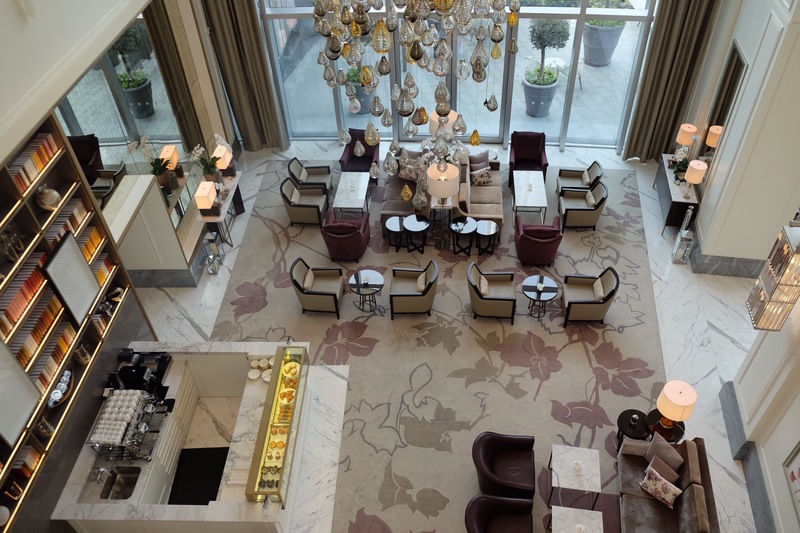 Afternoon tea is an incredible indulgence, and it doesn’t get much better than the way it’s served at The Lounge of Address Boulevard . We can thank Queen Victoria’s friend Anna Russell, the 7th Duchess of Bedford, for the thoroughly English institution of Afternoon Tea, which was a solution of her feeling peckish a few hours before dinner- something I can relate to. 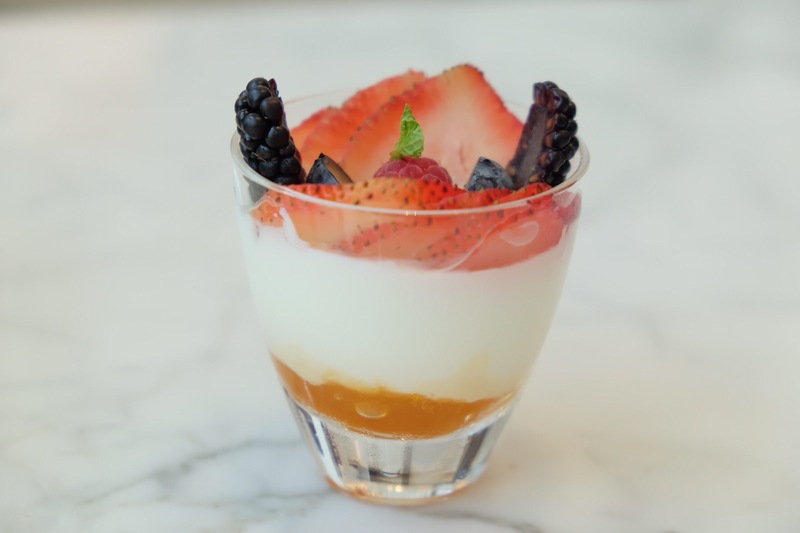 We’ve tucked into the post-lunch and pre-dinner treat during our stay at the stunning newbie, a city lifestyle resort – Address Boulevard. 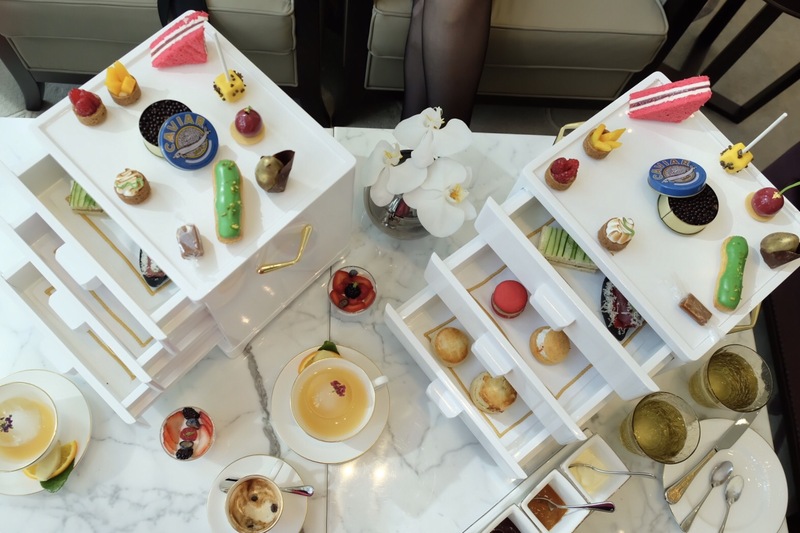 We had the most extraordinary Art Afternoon Tea at the sophisticated Lounge area of Address Boulevard with an astounding view of Burj Khalifa, that serves as a perfect place for a perfect Afternoon Tea indulgence. 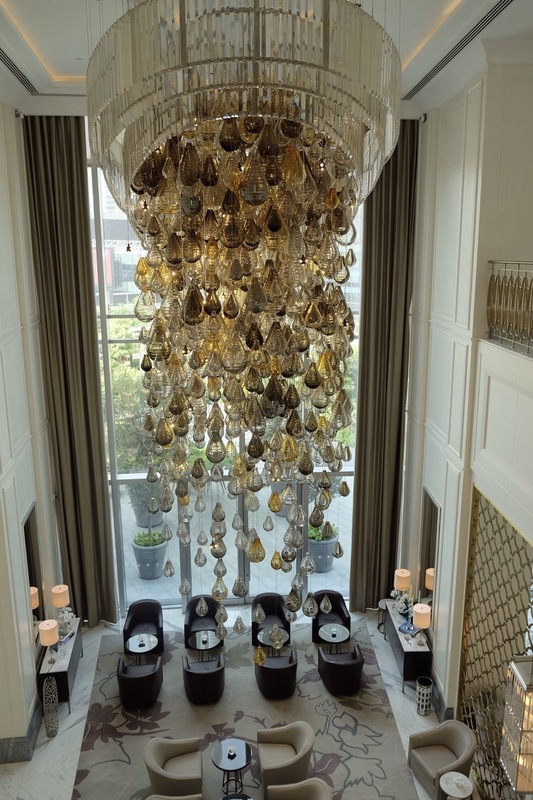 Served in the elegant art deco Lounge area flanked by high walls of gleaming artworks customized for the hotel, romantic chandeliers and a trolley displaying an array of sweet delights, there really is no better happy place to savour this delicious slice of life that’s inspired by the Dubai’s vibrant art scene. 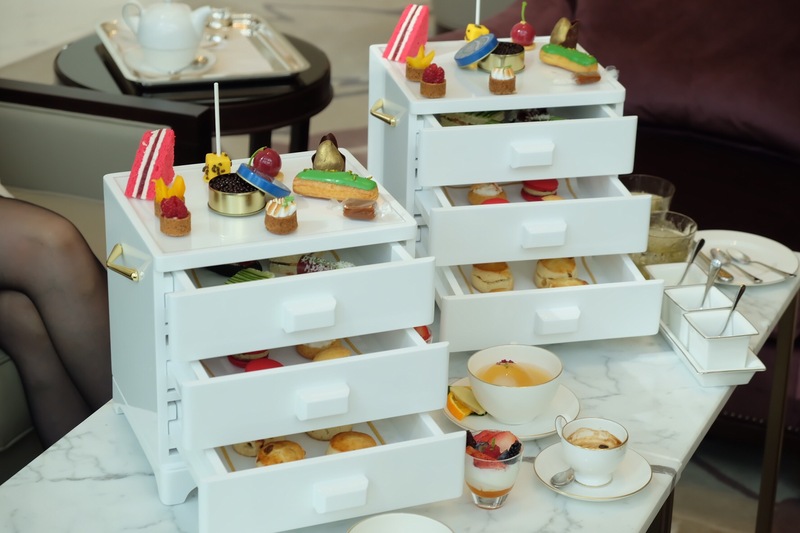 The Afternoon tea was beautifully executed and was impeccably served in the chic 3-tier drawer(oh boy, so feminine & grammable). From imaginative selection of hearty finger sandwich to the pitch perfect scones and pastries, everything was brilliant. The burrata fingers, charcoal bread with bresaola and the caviar imitation were terrific, among the other tantalizing morsels. All with a vast selection of tea blends and barista-style coffees. Think of mango tart, raspberry sandwich or macrons, washed down with geiffha – a botanical infused mocktail with a ice sphere floating on it. This ice tea infused mocktail with a peachy citrusy and gingery concoction had a refreshing bang of flavors. 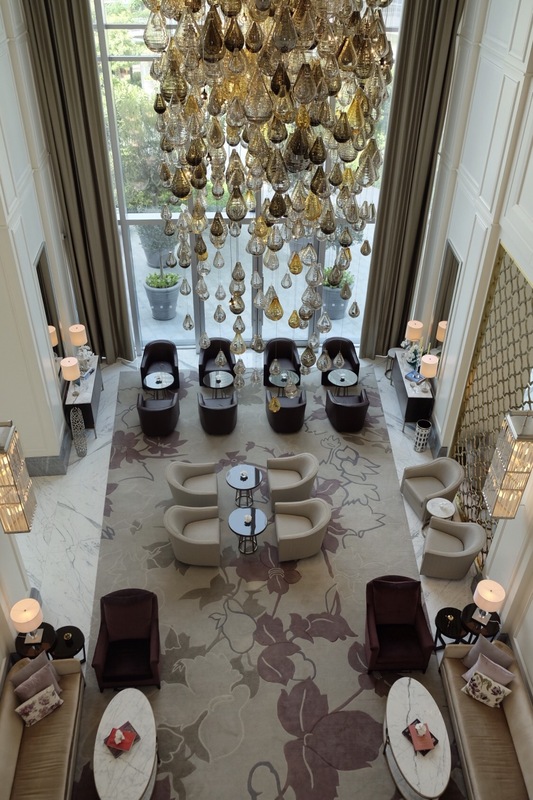 Undoubtedly it’s the chicest afternoon tea in town.Gracious discreet service is a bonus while dining at the Lounge. 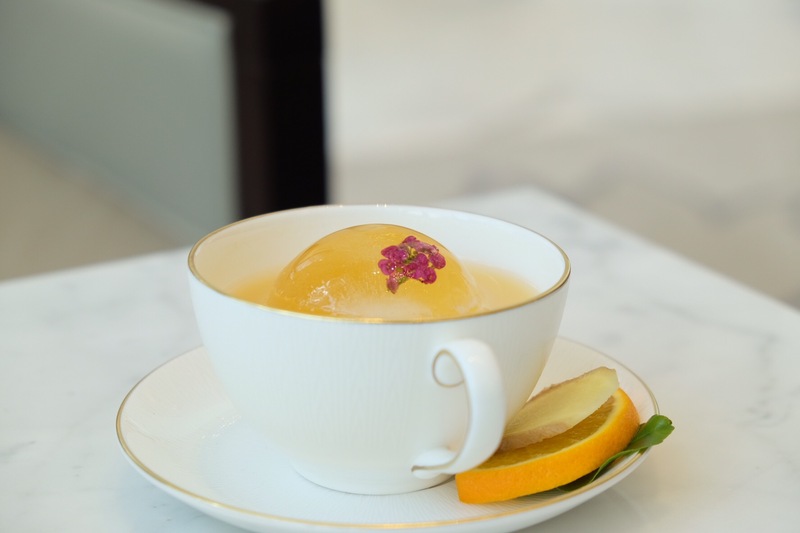 Fashionable foodies, this is the place to get your fix of best afternoon tea.